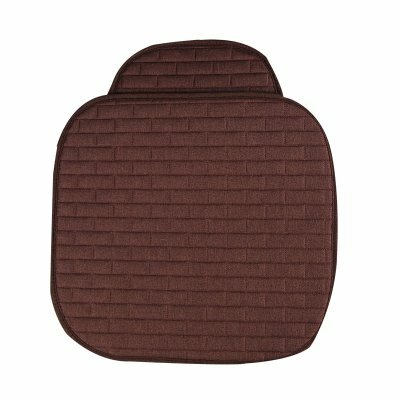 Successfully Added Breathable Flax Car Front Seat Cushion Car Interior Seat Cover Cushion Pad for Auto Supplies Brown to your Shopping Cart. Cushion surface is made of non-slip wear-resistant fabric + breathable flax, high quality and durable. High-quality rebound fabrics to make the seat more comfortable and well ease driving fatigue. Suitable for general cars, can be used for all seasons.